Due to inclement weather the performance has been rescheduled for Sunday, December 30! The lights, colors, sounds, and bustle of the holidays can be stressful under the best of circumstances. But for those who find themselves alone at this family-oriented time, or who have suffered a loss during the year, or who live with difficult memories, “Blue Christmas” is much more than a Christmas carol. Traditional church Christmas services, which might otherwise be a source of solace, too often become painful reminders of what’s missing. This year St. Paul’s Episcopal Church in Oakwood will continue its custom of offering A Quiet Eucharist in anticipation of Christmas on Sunday, December 23, at 4:00 p.m. in the Chapel of the Holy Spirit. This service, open to all, is especially designed to offer a prayerful atmosphere of peaceful and calm reflection, with a message of hope and healing. If you would like to donate money for flowers for Christmas, envelopes are available in the pews. If you would like your name to appear in the bulletin, please fill out the envelope and drop it in the collection plate or bring it to the office no later than December 19th. Join us for the 5th annual Downtowners’ Christmas Gathering on Wednesday, December 12 at Christ Episcopal Church, 20 West First Street, Dayton. A special Christmas luncheon will follow the Christ Church Wednesday service at 12:10 PM. The highlight of the fellowship gathering will be the Christmas music program arranged by Percy Jones following the luncheon. Congratulations to Tara Greaney on the birth of her first grandchild! Liam Greaney was born to Brian and Angie on November 28. A special Christmas program following a meal starting at 6:00 PM. This is a free event. There will be plenty of Christmas Caroling along with the OHUM puppeteers program. For more information please call the church at 253-5169. BISHOP PRICE TO VISIT ST. MARK’S TODAY! Sunday, December 2, which is the First Sunday of Advent. There will be only one worship service that day, a celebration of the Holy Eucharist, beginning at 10:30 AM. The visit of a bishop is a very special occasion in the life of a church. Please make every effort to be with us that day. If anyone might be interested in being baptized, confirmed or formally received into the Episcopal Church at this time, please contact the Rector as soon as possible. During his visit, Bishop Price has agreed to join us for a special, informal Adult Forum session in the Lounge from 9:30 until about 10:00. He will be with us to respond to your questions and talk about topics of your choice. Be sure to take advantage of this special opportunity! The members of Faith Lutheran Church (at the corner of Oakdale and Martel Avenues, near the intersection of Smithville and Patterson Roads) invite us to join them in our annual Community Thanksgiving Eve Celebration. The gathering will take place at 7:00 p.m. on Wednesday, November 21st. Members of St. Mark’s Lutheran Church and Community United Methodist Church will participate along with the members of “our St. Mark’s. The service will be led by Pastor Stephen Kimpel (Faith and St. Mark’s Lutheran Churches), and the sermon will be provided by Pastor Robert Iddings (Community United Methodist Church). For what are YOU Thankful?? He’s thankful that God did not make him a turkey! Amen! All Episcopal clergy are expected to spend two weeks each year doing continuing education. Mike will be away from the office after this Wednesday, November 14, until next Wednesday, November 21, attending the annual meetings of the Society of Biblical Literature and the American Academy of Religion. · Please contact George Snyder for any pastoral needs. 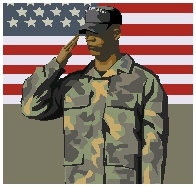 · Please contact one of our Wardens, Tony Rubino and Jim Rudd, for any other needs during this time. by our Presiding Bishop, Katherine Jefferts-Schori. It consists of 44 short (3 – 3 ½ page) articles that are very easy reading, but which provide a rich basis for reflection and discussion. Sessions will begin September 16, from 9:15 AM until 10:00 AM in the Lounge. We will continue each Sunday through November 4 and perhaps beyond. Wednesday sessions will be held in the Lounge from 11:00 AM until 11:50 AM from September 19 through October 31. If you have made any type of payment (Pledges, Plate Offerings, Flowers, etc…) Then you should have a personalize envelope at the back of the church. Please help St. Mark’s save money by recycling your envelope. Come Downtown for the 78th year of delicious waffles and other homemade lunch items. A small group of St. Mark’s members will be going down after the noon Holy Eucharist Service on Wednesday, November 14th. All are welcome to come. For more information on this event please call 223-2239. Monday through Thursday (the exact schedule is somewhat flexible). Resumes may be sent to Christ Episcopal Church, 68 E Church St, Xenia, OH 45385. Top 10 Reasons be a volunteer at this year’s Diocesan Convention coming up this November 9th and 10th at the Dayton Convention Center. 1. Meet way cool people. 3. Find out what caliper “Canon” our diocese uses. 7. Volunteer this year, get paid twice as much at next year’s convention. 8. Go to Diocesan Convention, shop “Twigs Christmas Market” all in one stop. 9. Hall pass to skip Sunday Eucharist service if you attend the Convention Eucharist service on Saturday …… clergy included. 10. Finally find out how many Episcopalians if takes to screw in a light bulb. This list compiled from various contributors who shall remain nameless to protect the guilty! Come join in the fun and volunteer today. Volunteer by going to www.episcopal-dso.org and click on the “volunteers’ on the Convention page or by contacting your church office. Three rehearsals will be held for those interested in participating in a combined choir for the Saturday, November 10, celebration of the Holy Eucharist at our Diocesan Convention. All the rehearsals will take place on Fridays, from 7:30 to 8:30 p.m. in the choir room at St. Paul’s, 33 W. Dixon Avenue in Oakwood. The dates for the rehearsals are Oct. 12, Oct. 26 and Nov. 9. For more information, contact Jeff Powell at jeff@stpauls-dayton.org or call 937-293-1154. St. Mark’s is the charter organization for Cub Pack 5555. Scouts will sell popcorn products at next Sunday’s coffee hour to raise funds for pack activities. Please consider buying an item from them. >>> All Saints Day – please let the church secretary know if you would like to honor someone who has passed away during Nov. 2006 – Nov. 2007. >>> Day of Change – please bring in your loose change to give to the hunger. This Sunday is the Time Change please don’t forget to set your clocks back on Saturday night. Food! Fun! Games! Trunk or Treat! The night will start off with food and festival games for all ages. Then a time of sharing as family and friends view a special story in our Sanctuary about being thankful for God and how he makes something good out of the “yucky stuff” we sometimes built up inside. The Children will then be given a small pumpkin with Biblical verses that correlate “cleaning the inside” with decorating their Pumpkin. The Highlight for the children will be the “Trunk or Treat”. Everyone is invited to bring a treat for the children to be distributed from the trunk of your car/van. You are encouraged to Dress in costume and be creative in “decorating” your trunk. At the end of the night as the children leave, they will visit each car. For More information, contact the church office at 253-5169. If you are interesting in seeing this performance please see Father Mike. The Governor’s Office of Faith-Based Initiatives is holding a series of 90-minute briefings about the Benefit Bank in upcoming weeks, in partnership with the Ohio Association of Second Harvest Foodbanks. Learn about how to get free training and how this program can help the working poor access food and health care. ECSF staff will be on hand at: Christ Church, Dayton: Oct. 23, 10 a.m. To register, contact Nora Nees at OASFH at nora@oashf.org or 614.221.4336. The school requests that we do not send binders, trapper keepers, school boxes, or pencil sharpeners because they take up too much room in the desks. Thank you. Please join the JDRF Walk! Please join our secretary Rachel Huffman and her son Kenneth who is a juvenile diabetic on Saturday, Sept. 29th at Island MetroPark. If you would like more information regarding the walk or how to make a donation please call 256-1082. Click on the above icon for more information Thanks! All are welcome to attend. The agenda for the meeting is to discuss the disbursement of the Yard Sale Funds. For more information regarding PAT please contact Ann Phillips. >> 10:30 our principal celebration of the Holy Eucharist with music, followed by Coffee Hour. The flower on the altar each week not only enhance the service but are a way to share a message with our congregation. The following Sundays have not been filled on the flower chart beside the church office: September 16. If you are interested in donating flowers for any one of these Sundays, please sign the flower chart and let the Secretary know if you want it as a memorial or thanksgiving. The cost for flowers is $30. There is a simple volunteer opportunity for the members of St. Mark’s. Kairos is collecting bags of cookies from different churches throughout Dayton for Kairos ministers to take to the Lebanon Correctional Institution. Kairos is an ecumenical ministry that conducts special, intensive, weekend programs for those in prison, praying with them, talking with them, and helping them to turn their lives around through turning to God. The next Kairos weekend will take place from September 13-16. If you are interested in baking cookies; bags are available on the ushers table. Each bag will need 2 doz. cookies. Please return the cookie bags no later than Next Sunday, September 9th. At the 10:30 serve we will pray over the cookies before they are given to the inmates and staff at the Lebanon Correctional Institution. The dedication of a New Home for the Alexis Allen Family will be on Saturday, September 15th at 2:30 PM. After the dedication there will be a small reception. 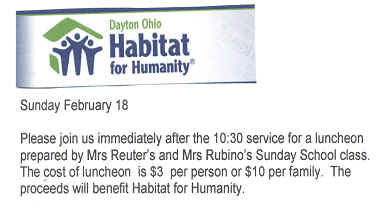 Please RSVP to Anna Marty at amarty@daytonhabitat.org . available for free to anyone who would like it! Come and enjoy a casual worship service followed by a wonderful picnic meal. Please bring a side dish or dessert to share (a sign up sheet is located on the bulletin board outside the church office), and lawn chairs. Directions to the park are located on the Ushers Table. For more information please contact any Vestry Member. Beginning July 1st and continuing through Labor Day, there will only be one Holy Eucharist Service on Sundays. It will begin at 9:30 AM and will be followed by Coffee Hour. in observation of Labor Day. Catch the parade on Sat., Aug. 25 mornings at 10am. 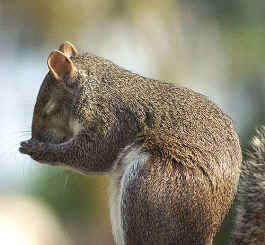 >> There was no Wednesday noon Holy Eucharist this past week. >> The Reverend Canon Gordon Price will serve as celebrant and homilist at 9:30 this Sunday. >> For pastoral needs, please contact our Deacon, George Snyder. >> For other needs, please contact one of our Wardens, Tony Rubino and Jim Rudd. Entertainment, games, and ice cream for everyone! Also, take a tour of the first floor. For more information on this event please call 859-7490. Many thanks to all those who donated their time, talent, and treasure to make this year’s Yard Sale the most successful ever! Well it’s that time of year again for spring cleaning! We will be happy to accept your donated items that are clean and in good condition. Items will be accepted on Wednesday and Sunday mornings. If you would like to volunteer please contact Judy Kreutzer or Judy Rudd. Thank you in advance for your generosity. If you are interested in helping with the sorting and pricing of the donated items please contact Judy Kreutzer or Judy Rudd. NOTE: It’s time to start saving plastic bags for the Yard Sale. Please place them with the empty boxes in the Yard Sale (Children’s Chapel) room. Thank you! Kemp Kickoff Cookout Friday, August 3! We invite you to join us in beginning the sixth year of our growing Partnership with Kemp Elementary School at our annual “Kemp Kickoff Cookout.” It will take place at the school from noon until 1:00 p.m. on Friday, August 3: the Friday before classes begin. This fun annual event brings together students, parents, faculty and staff in a relaxed, informal setting in order to lay the groundwork for effective communication during the coming year. The role of the five partner churches is to provide the food and the grills and to cook and serve the hot dogs. If you are willing to help, please include your name on the volunteer list, posted on the main bulleting board (across form the church office). For more information, please contact Mike Kreutzer. Click on the link above to find out all the details! The Church Office needs help from someone who is familiar with small computer networks (as in St. Mark’s 2 computers!). Until a few weeks ago, we could access our “Shared Documents” folder without a problem. Now is is available to only one computer. The message given is: \\Dj01w121\sharedocs is not accessible. You might not have permission to use the network resource. Contact the administrator of this server to find out if you have access permission. The network path was not found. PROBLEM SOLVED — CORRUPTED FILE REPLACED! Now is the time to start or renew a subscription The Episcopal Life newspaper that will be mailed directly to your home for only $12.50. Episcopal Life is the monthly newspaper of the Episcopal Church, offering the latest news of regional, national and international events, feature articles on Christian ministry, personal profiles, columns on theological opinion and reflection, a forum for dialogue, book and film reviews and a monthly column by the presiding bishop. Now is the time to find out what other Episcopal people are doing. The sign-up sheet is on the Bulletin Board just outside the Church Office! ST. MARK’S YOUNG’S DAIRY OUTING! Join us TODAY, immediately following the 9:30 AM service, for our annual outing at Young’s Jersey Dairy, just north of Yellow Springs. Directions to Young’s are available on the main bulletin board, across from the church office. The Church Office will be closed on Independence Day, this Wednesday, July 4. There will be No Noon Service. The Rector is still on vacation through this Sunday (June 24). 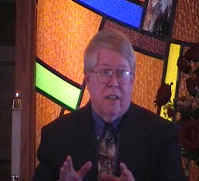 George Snyder will lead Morning Prayer at 8:00 and 10:30 next Sunday. For pastoral needs, please contact our Deacon, George Snyder. For other needs, please contact one of our Wardens, Tony Rubino or Jim Rudd. St. Helen Church will hold its Annual Spring Festival this weekend !!! There will be rides, refreshments, game booths, and a flea market! Bracelets for unlimited wristband ride passes are $12.00 or take advantage of the Pre-Sale Discount Offer purchase a wristband ride pass on-line at www.ridediscount.com before Wednesday, June 6 for $10.00 per person, per session. Ride pass may be used any ONE of the following sessions: Saturday 1 – 6pm or Sunday 1 – 6pm. You may buy as many passes as you wish but each must be purchased separately. Please let the church secretary know if you will be graduating from High School or College this year. There will be a special bulletin / Lion’s Tale honoring all who have achieved their degrees. Most of the names on the Prayer List (as located in the Family and Friends area on the back cover of the bulletin) have been there for several months. If you want to keep someone’s name on the list, please notify the secretary by Tuesday, June 19.
who were married June 2! The birthday celebration planned for Doris Ford’s 80th Birthday in the Children Chapel next Sunday, June 10, has been CANCELED. On Wednesday (April 18) and the following Sunday (April 22), we will be starting our new Adult Forum series for the Easter season. We will take six sessions to examine the Acts of the Apostles: the continuation of the gospel according to Luke. Board Signing for Habitat for Humanity was at Lowe’s on Saturday, May 19th from 8am to 2pm. Many thanks to Don Nancarrow, Joe Zglinicki and the group of volunteers who participated in this very worthwhile program. Additional information will be forthcoming. We invite all members of the community to join us in remembering and honoring those who have given their lives protecting our freedom. An Honor Guard from VFW Post 657 and American Legion Post 776 will open the service, and will conclude it with the ceremonial laying of a wreath, the playing of taps, and a 21-gun salute. The pastors and people of several other neighborhood churches will also participate. Please consider supporting this outreach ministry of our parish. Today is also Flower Sunday! All are invited to bring a flower to church. During the service, all will be invited to bring the flower forward; and with the help of our acolytes, we will place the flowers into the holes on a large wooden cross. That cross will gradually burst forth in life, as a beautiful sign of our resurrection in Christ. Canterbury Court will have a garage sale on May 12, 2007. Help is needed in carrying and setting up tables between 8:00 a.m. and 9:00 a.m. as well as returning the tables at 3:00 p.m. If you can help at either or both of these times, please contact Henrietta Grossoehme as follows: E-mail: hgrossoehme@erhinc.com or Telephone Number: (513) 248-1642. Please consider supporting this outreach ministry of our parish. The celebration took place at the Mershom Auditorium on the campus of Ohio State University in Columbus. Also available on the diocesan web site is a “Guide to the Consecration and Episcopal Terms,” which answers many questions about bishops in the church. A copy is posted on the main bulletin board across from the church office. No one initially nominated Thomas Breidenthal as bishop of Southern Ohio. In fact, what first captured the attention of the Nominating Committee was that his profile on the clergy database matched the strengths and needs of Southern Ohio’s bishop search profile. As he shared at a clergy gathering earlier this year, he was intrigued by the questions the Nominating Committee asked in its first letter. As he set to answering them, he began a journey of discernment that led to his election in November as the IX Bishop of Southern Ohio. A teacher, scholar, author and priest, Bishop-elect Breidenthal brings a passion for collaborative ministry. He has scheduled listening sessions in each deanery of the diocese to hear what is working –and what is not. He established an ad hoc committee to review and consider with him the policies and priorities of the diocese. He has met with several diocesan leaders and interest groups as a way to learn about Southern Ohio and to develop patterns of working together to answer the question: What is God calling us to do in this time and place? Before the consecration, the Bishop-elect will spend two days in retreat in New Jersey as a way to prepare himself spiritually for his servant ministry as Bishop in Southern Ohio. He asks each of us to hold up the Diocese of Southern Ohio in prayer and to remember that the consecration service is not only a time of joy and celebration but also an opportunity for everyone to recommit to preaching and serving Christ in Southern Ohio and beyond. Learn more: The service will be webcast – available live via the Internet. Click on the link from the diocesan homepage, www.episcopal-dso.org. Also online: worship bulletin, a consecration primer, and ticketing and event details. The May and June issues of Interchange will offer complete coverage. 1060 Salem Avenue in Dayton. A program of great American choir and organ anthems will be presented by the Kettering Church Choir directed by Jerry Taylor, with Dr. Melvin West, organist, on Saturday, May 5, 5:00 PM at the Kettering Adventist Church, comer of Stroop Rd. and Southern Blvd. Free Admission. For more information please call 298-2167. Before you leave today please pick up your personalized envelope. Inside you will find the latest “Lion’s Tale” newsletter. Some parishioners have started to leave their empty envelopes to be reused. If you would like to recycle your envelope a green folder is located in the box. Thank you so much for helping St. Mark’s save on postage and now envelopes. On April 21st -22nd, St. Margaret’s Episcopal Church will host an exciting Women’s Weekend of friends, food, and fellowship. The theme this year is “We’ve Come This Far by Faith”. Tickets are $10 each. For more information please contact Dolores Walker, 854-4543. The Great Vigil of Easter including the lighting of the new fire and Paschal Candle, the Proclamation of the Resurrection, the Renewal of Baptismal Promises and the First Holy Eucharist of Easter. For the Great Vigil of Easter, be sure to bring one or more bells – any kind of bells that you might have. Following an ancient custom from England’s Salisbury Cathedral, at the time that the Easter Proclamation is made, everyone rings the bells in celebration as the organ plays a great fanfare. 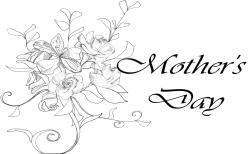 The office will be closed on Monday, April 9th. There are still some church directories sitting on the Ushers’ Table that have not yet been picked up. Thanks again for helping St. Mark’s save money on postage! of 2007 pledge envelopes. Thank you! The Gospel according to Luke and the Acts of the Apostles are in reality volumes one and two of a single work. Together, they comprise the largest contribution by a single author in the entire New Testament. They tell the story of Jesus and of the Church, led by the Spirit in accomplishing the will of the Father. Almost all of our Sunday gospel readings this year, “Year C” of the three-year Lectionary cycle, are taken from Luke. All our first readings from Easter through Pentecost are taken from Acts. From mid-February through the end of May, we will read through this two-part book together. Led by Mike Kreutzer, we will explore Luke from the Last Sunday after the Epiphany through Palm Sunday. After a break to celebrate Easter Sunday, we will use the next seven Sundays to journey together through Acts. The central text is the Bible itself. Mike will be using the New Revised Standard Version, the one that we use in worship. Other materials will be provided. This is the last Sunday for Easter Flowers. If you wish to contribute towards the cost of the flowers, donation envelopes are available in the pews. This Sunday is Girl Scout Sunday! Members of St. Mark’s Girl Scouts will be joining us for the 10:30 service. Please be sure to be there to welcome them! Those involved in scouting are invited to wear their uniforms for the occasion. Kairos is an ecumenical ministry that conducts special, intensive, weekend programs for those in prison, praying with them, talking with them, and helping them to turn their lives around through a turning to God. The next Kairos weekend will take place from March 15-18. If you are interested in baking cookies; bags are available on the ushers table. Each bag will need 2 doz. cookies. Please return the cookie bags on Sunday, March 11th. At the 10:30 service we will pray over the cookies before they are given to the inmates and staff at the Lebanon Correctional Institution. Take the time to bake some cookies and make a difference in someone’s life today. Juanita Limes and Lisa Darnell would like to announce the arrival of Scott and Tonia Jones’ new baby boy Mehki Charles Jones. Mehki was born on February 19th; weighting 6 lbs 10 oz and is 17.5″ tall. Lisa heard Mehki said hello to the world with a strong set of pipes (he wasn’t too happy leaving his comfort zone). I made it to Iraq safe and sound. I am doing well to adjust to the time change and environment. Moral is very high over here. Just wanted to send a quick message to let you know I’m OK. I miss everyone from St. Marks, especially the choir. Thanks again for all the kind prayers. 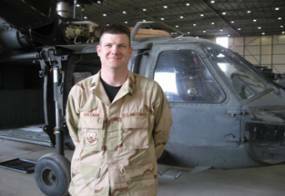 Steve would greatly appreciate hearing from you during his tour of duties in Iraq. Please contact the Church Office to obtain his mailing and/or e-mail addresses. Thank you! The Mad River Lions Club Will be hosting a Pancake Breakfast to help raise money for the Hunger. At the Hungarian E & R United Church of Christ on 4475 Old Troy Pike, Dayton. From 10:00 am to 2:00 pm. For other locations please refer to day-of-caring.org. will be observed at Community United Methodist church on Friday, March 2,2007. A Light Refreshment will be served at 10:00am, followed by the service. All are welcome to attend. For more information on this event please contact Dees Thompson at 297-4044. …to all who came out in the cold weather to get their pictures taken on Tuesday and Wednesday. Also, for all the Volunteers who put their time and energy into making these days run smoothly. Finally, without George Snyder setting up all the arrangements and volunteers this event would not be possible. Thank you! IF YOU MISSED YOUR APPOINTMENT, PLEASE CONTACT GEORGE SNYDER OR DAVE REUTER TO LINE UP ALTERNATE PHOTO SUBMISSIONS OR HAVE DAVE TAKE YOUR PHOTO THIS SUNDAY. Now that the New Year has begun it is time to look at the bulletin boards for ways you can make a difference in the church. We have several ways you can help out; for instance how about hosting the Coffee Hour or Singing in the Choir and soon it will be time to for Mowing the Lawn. Or you could help enhance the church service by signing up for Altar Flowers or for the Sanctuary Candle. Both of these can celebrate an event or to remember a loved one. For more ways to help out please contact the Church Office at 256-1082. Once again this year, we will be gathering for a Shrove Tuesday Pancake Supper on February 20 from 5:30 until 7:00. Be sure to mark your calendars to share in the fellowship – along with the pancakes and sausage! Holy Eucharist with the optional imposition of ashes. The Church Office will be closed on Monday, February 19 in observations of Presidents’ Day! The canons of the Episcopal Church direct that a Rector’s Discretionary Fund (RDF) be established and supported in each church. It is to be used for care of those in special need. Loose cash received in the offering on the fourth Sunday of each month is deposited in this fund, along with Whatever special offerings people choose to make to the RDF. Normally, no one but the Rector knows who receives help from the RDF, but I wanted to let you know of a way that I used some of these funds this past week to meet an emergency need in our community. With the bitter winter weather that we experienced recently, the St. Vincent Hotel in Dayton issued an emergency appeal to the community. St. Vincent’s currently focuses on serving the needs of women and children who have nowhere else to go and who would otherwise have to seek shelter in parks, under highway overpasses etc. On your behalf, I donated $250 from the RDF to St. Vincent’s to help them purchase food and warm clothing for some of the most vulnerable of our neighbors. If you would like to make any additional contributions to the St. Vincent Hotel, you may do so by sending it to them (or taking it to them) at 120 W. Apple St., Dayton 45402. For further information, you can call them at 461-7837. This Sunday, Feb 4, is Scout Sunday! Members of St. Mark’ Boy Scout Pack 5555 and their families will be joining us for the 10:30 service. Please be sure to be there and to welcome them! Those involved in scouting are invited to wear their uniforms for the occasion. There will be a scrapbooking class at St. Andrew’s (1060 Salem Ave.) on Saturday February 3rd from 10 am. – 12 p.m. Everyone is welcome that would like to learn about scrapbooking or get involved with a parish scrapbooking effort. All supplies will be provided, however you are asked to bring 8-10 photos on the same subject (birthday party, vacation, etc.). Please call the St. Andrew’s parish office at 278-7345 to register or call Carol Parker (247-0537) with any questions. Available this Sunday, the 2007 Episcopal Calendars will be available. The costs of these calendars are $2.00 each. They will be located in the church office. This Sunday, January 28th after the 9:30 Service. Come and hear what has happened over the year at St. Mark’s. Last year the Soup Luncheon was such a great success we decided to do it again. There is a sign up sheet located on the bulletin board across from the church office. We are need of: different Soups, Breads, Salads, and of course Desserts. Please help make this event fantastic. Remember all are invited to attend. Thank you for donating your loose change or bills for the United Thank Offering Ingathering. St. Mark’s turned in an amazing $336.75. St. Mark’s does a collection for the United Thank Offering twice a year. Please remember it is never too early to start saving your loose coins. There are extra UTO blue boxes located on the Ushers Table. Again thank you for your generosity. 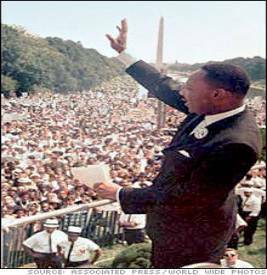 The Office will be closed on Monday, January 15th in celebration of Martin Luther King Jr. Life. You are welcome to join the Kreutzer Family in the Martin Luther King, Jr. March and Rally in Dayton at 10:30 AM. For more information on this event please contact Father Mike or Judy Kreutzer.